Tbourida, also known as the "Powder game", is a traditional and popular equestrian art inspired by the historical wartime attacks of the once feared and fiercely brave cavalrymen of Morocco. 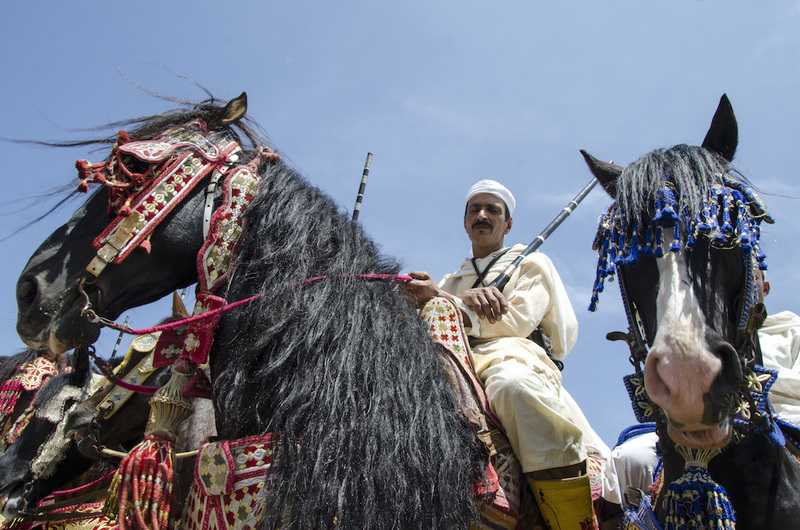 The colourful spectacle of Tbourida is a contest of speed, endurance, grace, discipline and manoeuvrability for Morocco's horsemen and horses. 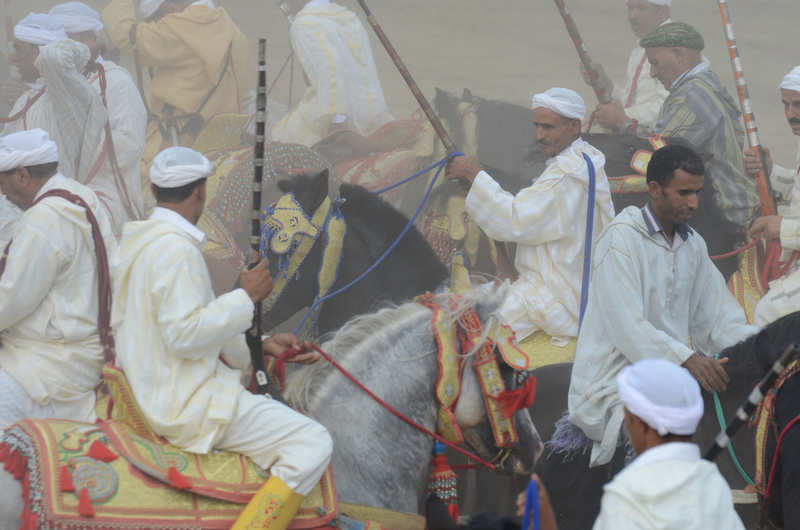 Tbourida is practiced across all rural areas of Morocco to celebrate national and religious moussem (holidays), as part of Morocco's national culture and past tribal identity of the country. 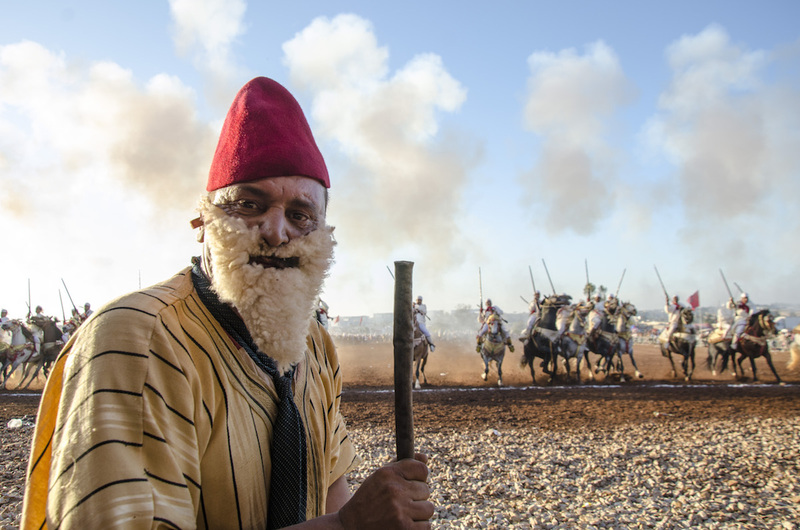 Tbourida : The Fantasia of Morocco ( æ‘©æ´›å“¥çš„å¹»æƒ³æ›² ) is a series of photographs describing and realising the depth, thunder, smoke and dust, colours, energy and spectacle of the Moroccan Tbourida and its back story the crowd of characters. 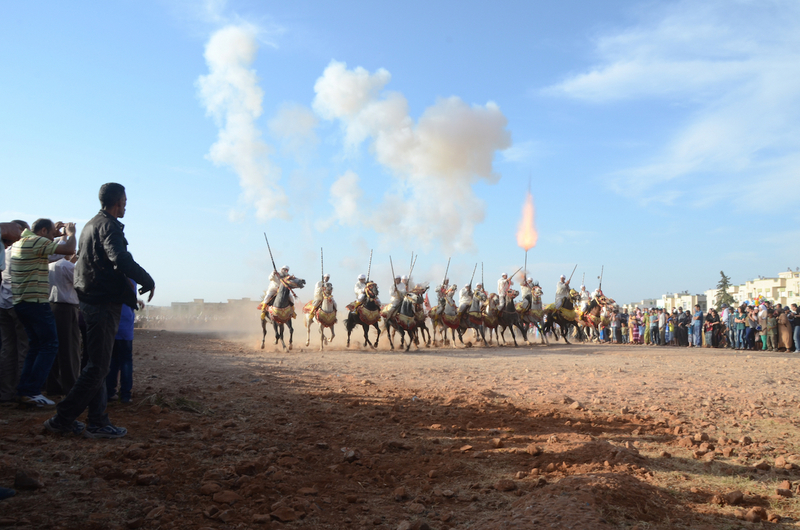 Shot at a number of moussem across Morocco including Moulay Abdullah, Moussem des Cerises Sefrou, Tissa and others. as part of a selection for a pending book publication.